A successful writer builds her marketing and promotion platform long before a single word is written. When a story idea settles into the writer’s heart and mind, she considers how the story content can draw in readers. This doesn’t mean the writer looks to the latest trends to mine book topics, but it does mean she actively seeks opportunities to share her story in ways that provide inspiration and encouragement for her readers. The focus on marketing and promotion doesn’t divert from creating a quality project. It adds value with fresh writing and enhances the ability to propel the project into the reader’s hands. When developing a marketing and promotion program, consider all that drives a book to the retailer’s shelf: readers’ specific needs, dreams, strengths, challenges, and desires. How can story content meet those criteria? 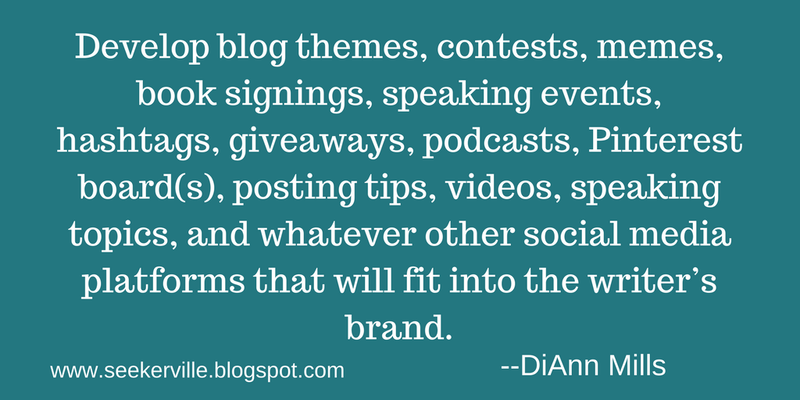 Develop blog themes, contests, memes, book signings, speaking events, hashtags, giveaways, podcasts, Pinterest board(s), posting tips, videos, speaking topics, and whatever other social media platforms that will fit into the writer’s brand. Agents and editors are attracted to writers who embrace a can-do attitude to marketing and promotion. 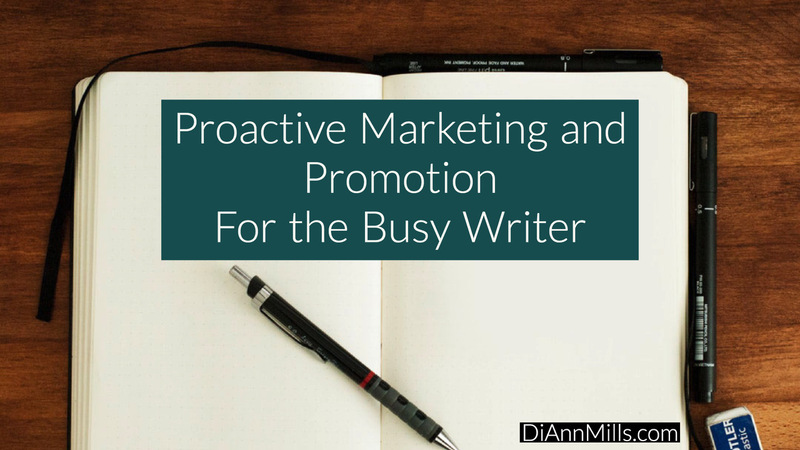 The following are a few items to consider in proactive marketing and promotion. • When a writer has a grasp on how to approach readers with a targeted topic or genre, every thought has value. • Each scene or section of a book has potential. Look to the subject matter for distinct possibilities to draw attention to the writing project. • At the completion of the book, the writer is able to compose and calendar blogs, contests, memes, hashtags, tweetables, giveaways, and events. • The writer can request guest blogs months in advance, ensuring the exact date of the book release corresponds with the blog post. • Promotion events can be scheduled, planned, and perfected months ahead of the designated time. • A successful writer who has mastered marketing and promotion is eager to begin the next project. For example: Bonnie Bestseller is writing a novel about a heroine who works as a coffee barista in Telluride, Colorado. The story takes place in January when the town is filled with skiing enthusiasts. Business is booming, and the coffee shop centers as a conversation spot. Bonnie has sworn off dating and refuses any of the male flirting tactics. In the midst of keeping customers happy, the coffee shop is sold to a single man who knows nothing about roasting coffee beans, making delicious drinks, or keeping patrons happy. He’s shy, extremely good looking, knows nothing about snow or skiing, doesn’t drink coffee, and requires the heroine’s help to make the coffee shop a continued success. The thought of working for her boss is detestable, but she has no choice. In my new novel Common Grounds, my heroine is a barista who works for a man who hates coffee or tea. What is your favorite go-to beverage when it’s cold outside? A humorous video on grinding coffee. Board about coffee roasting, brewing, etc. Where I find story ideas. Re-visit and complete this process when the story is in the galley stage while the contents are fresh on your mind. The technique saves time and is filled with numerous ways to promote your next book. 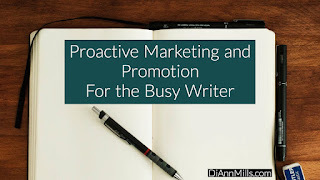 Click on this link where you’ll find a spreadsheet titled Proactive Marketing and Promotion to assist in the process of marketing and promotion during the writing phase. With a little forethought, traditional and Independent publishing efforts become enjoyable and simplified. 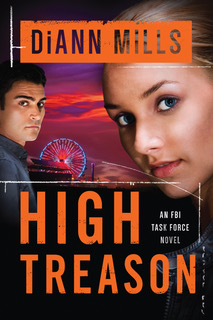 When someone attempts to assassinate a Saudi Prince on U.S. soil, FBI Agent Kord Davidson and CIA Operative Monica Alden head up a task force to keep the Prince safe and find those responsible to avoid an international incident that could have devastating consequences. TYPO! I meant to say I've never thought about being that creative. Missy! I love the creative aspect of marketing and promotion. I hope your readers take a look at my spreadsheet. Excellent tips, DiAnn! This post is a keeper! I'm always interested in how other authors think through the marketing side of the business, and I'm learning to be more strategic when considering Return on Investment--time, money, effort, etc. Erica, you're right about how important ROI is. Now if I can just figure out how to track it all! Hi Erica, we have to work smart, which doesn't always equate to how many dollars we spend. What a wonderful layout for a successful promo plan, DiAnn! Well done! And the layout makes it plain how to pick, choose and target the audience. Man, that's advice we all can use! Thank you!!! Yeah, Ruthy, I agree. I love her example. So helpful! Ruth, the process completed in the editing stage makes it all easier when the time comes to Marketing and promote. Good morning, DiAnn! Thank you for such creative ideas that tie everything together for a promotion package!!! Hi Glynna, thank you so much! Glad these are of help to you. Fantastic tips, DiAnn. Thanks for stopping by Seekerville and sharing this great information! Isn't this a fun examination of a marketing strategy, Glynis??? Hi Glynis, You are so welcome. And it is fun. DiAnn, this is a keeper. What a boatload of good ideas. I'm going to start thinking proactively NOW instead of WHEN. BTW, I used to read your column in Christian Fiction Online. Kaybee, I agree... it's a packaged deal of marketing and promo. Thanks Kathy and Ruth, it took a little time to set up, but now it's a gem whenever a new book is ready to promote. Thanks, DiAnn! My first book marketing attempt was willy-nilly, overwhelming, and exhausting. I felt like I had to try every marketing strategy out there...and there are A LOT of marketing strategies! I didn't have the experience to discern which ones had the potential to be most effective. Thank you for sharing your process and your spreadsheet. Exhausting. Yes, Karen, you said it perfectly! Karen and Jan, I've been there, and it's overwhelming! I am printing this out right now, because I am clueless when it comes to marketing. One of my goals for 2018 is to learn to make a meme. Yeah, it's that bad. But at least you've got me to thinking. Always good to "see" you, my friend. I think everyone in Texas thinks they're down the road, LOL! But I agree, Mindy!!! That's what we thought when we lived in Texas. The cub scout leaders thought nothing of taking a passel of 1st grade boys on a 3 hour trip for a 45 minute activity...and then drive 3 hours back. That's when we realized just how big Texas is, and how Texans see their world! Hi Mindy, Waving back! Need help creating a meme? I suggest www.thewriteconversation.com or wwwblueridgeconference.com and type in "Meme" Too bad this format doesn't allow a love session, or we'd do it all together! Welcome to Seekerville, DiAnn! I have to say that I WANT to be Proactive, but more often than not, I'm Reactive! I write in Scrivener, and also have my Marketing & PR file in Scrivener. As I'm writing, I will occasionally add quotes from my wip that would make great memes. At the end of writing, I look over all my research files and add those to the PR file for possible blogging topics. I also add to my "evergreen" tweets file. For my westerns, I did a lot of cowboy quotes. Then when I started my 1790s series with an Irish hero, I added Ben Franklin quotes, Irish proverbs and quotes, etc. I'm adding new tweets to my list daily. Quinn (book #2) is a blacksmith. Things like, "A blacksmith has no need of an axe." ~ African Proverb. Logging, the Mississippi river, river pirates play a big role in Book #3, so I'll add even more quotes and proverbs to my list, so that gives me a lot of fresh content to recycle on twitter as well as new, organic tweets from reviewers, etc. That's a great idea, Pam! So much better than trying to pull quotes and ideas out after the book is finished! Pam and Jan, you are doing it girl! 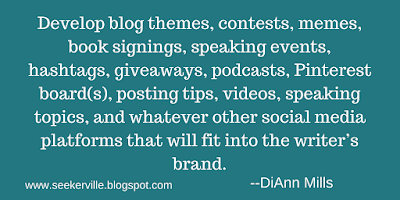 DiAnn, you've provided an exciting method to reach readers! I'm enthused about marketing my current WIP and will be looking at the story anew...for opportunities to bridge the gap between author and reader. Thanks for providing such great guidelines for marketing and promotion! You always provide excellent material in your posts...and your books are must-reads! Thanks for being with us today! Hi Debby, thank you so much! Glad to help! Hi DiAnn, have you visited Common Grounds in Waco? I've been a few times while visiting my son and daughter-in-law. They have a cowboy flavor coffee (not sure the real name) and it's my all-time favorite. I've tried it hot and cold and like it both ways. I'm always impressed with what great marketing ideas you come up with. Thanks for sharing! Jackie, that coffee sounds so good! Hi Jackie! Love Common Grounds! When my son attended Baylor, that was a fav spot for us. This post produced a "duh!" moment for me. PROactive in marketing??? See what I mean? I've tended to look at marketing as that chore to do while I'm busy trying to write the next book! And it isn't that I haven't done any marketing - - but I haven't had a plan. A focus. Thanks so much for showing me that I need to open this door, and your spreadsheet looks like the perfect place to start. Jan, you're right. It's something we should plan way ahead. I often don't think of it until right before a book releases. Jan, it is fun! Once you dive into it, you'll think about all you've missed in the past. DiAnn, I love common sense posts and this is it! Thinking of your story from the business side is smart and you don't make it seem scary at all. She actually makes it sound do-able, doesn't she? Welcome to Seekerville, DiAnn. I've followed you for years and you've always provided helpful information to pre-published and published writers. Thank you for all that you do. Wow, DiAnn, what a great practical post! I'm not marketing any books yet, but these suggestions make so much sense. Thank you, DiAnn, for sharing great ideas and fun examples of how we can prepare ahead of time for marketing books. Jeanne, I was really glad to get the spreadsheet! Jeanne and Missy, Really glad I've been able to help. 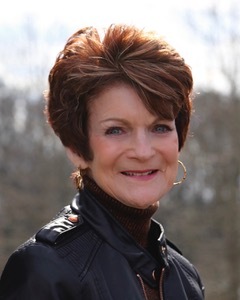 DiAnn, your approach to pre-marketing thinking is invaluable! I’ve considered some of these ideas, but you provide many more, along with a fantastic spreadsheet. Thank you! And you roast your own coffee?!?! How fun! Isn't that interesting, Sherida! Is aw that in her bio. DiAnn, I would love to learn how you do that! Sherida, Really glad to give all of you new ideas to market and promote - and yes, I'm a coffee snob. I've been absent most of the day. I had oral surgery. Ugh. But it went well. I love my dentist. He's an old friend from our previous church. I usually end up with a new dentist every few years because I end up HATING my dentist...through absolutely no fault of their own. Missy - hope you are feeling better. I love my dentist but I hate going. Wow...I'm crazy about your approach to marketing, DiAnn! Thanks so much for information! The examples are especially helpful! I like the unified approach. I don't have a book to promote, but I'm going to try this strategy with my antique mall! Kathryn, sounds like a plan! Glad I was able to help. Hey sweet friends, every time I comment, I'm asked to go through a lengthy process to verify I'm not a robot. Is there a way to simplify the steps? Thanks! DiAnn, I usually just skip that and it works anyway. See if that works for you. And, actually, it doesn't do that to me anymore. I'm not sure why you're getting the captcha thing unless Blogger is acting up. We have our settings set to allow anyone to comment, even allowing anonymous commenting. Wow! You are not only a fabulous author, you are also a marketing wizard. I loved your ideas! Thanks for sharing. Great example. My book that came out in November had my couple meeting at a smoothie shop so I did a lot of smoothie related things when it first came out. I really need to figure out how to use pinterest more in marketing. And definitely need to start earlier for my next book. Thanks for the tips. This is an excellent post, DiAnn! Thanks so much for all this information! Thanks, Nicki, You are so welcome! What sensational tips. I love how you broke this down. Creativity definitely doesn't stop at the book. Thanks! Thanks, Kelly, we writers need easy! Hi DiAnn,welcome! Since I'm a reader, I don't need marketing tips, but these are terrific for our writers here :-) You've broken things down to a level anyone can understand! Thanks, Trixi, you're right! The thrill is always there. Hope to see you at ACFW in September! Thank you! Congrats on your December release! Yes, i'll be at ACFW in September. See you there.